at Salford Museum and Art Gallery. 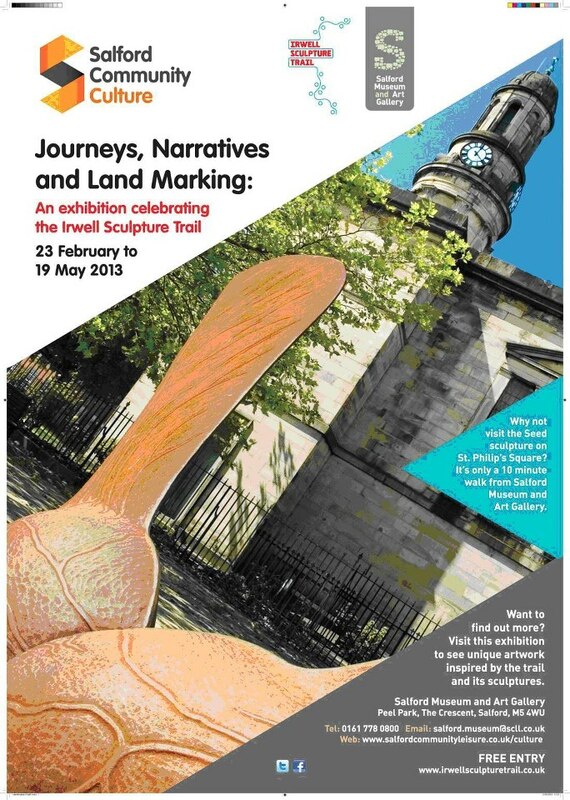 This exhibition showcases the artistic work produced at re-launch events for the trail, including photographs, films, geocaches, tree canvases, audio stories, performances and creative writing: all inspired by the trail and it’s sculptures. Highlighted in the exhibition will be the Temporary Arts Programme. Last year, four Salford based artists and arts organisations were commissioned to create new art projects, performances, films and exhibitions which explore themes of ‘Journeys, Narratives and Land Marking.